On 20 January 2012, the authorities approved a new strategy to attract foreign direct investments. This document can be regarded as a new invitation for foreign business with advanced technologies to take part in privatization in Belarus. The authorities hope that Western businesses will come despite the country's poor human rights record and their failure to release all political prisoners. Although the Belarusian authorities welcome energy subsidies from Russia and participate in Russia-sponsored integration projects such as the Single Economic Space, they are reluctant to invite big Russian business in. The pace of Belarusian privatization is slow – although many trade and service enterprises were privatized, medium and large industrial enterprises still remain in state hands. 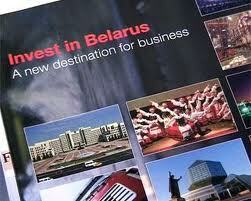 Over the last two decades, most trade and service enterprises have been privatized in Belarus. However, instances of privatization of industrial enterprises remained extremely rare. Consider that between 2008 and 2010 only eight small and medium industrial enterprises were privatized. In early 2011, there was a debate among the ruling elite between the proponents and opponents of privatization of industrial enterprises. Siarhiei Tkachev, an economic advisor to Lukashenka, insisted that the state could be no less an efficient owner than a private entity. Lukashenka said at that time that he was tired of talking about the advantages of private ownership, which were initiated by Prime Minister Mikhail Miasnikovich and Deputy Prime Minister Siarhiei Rumas. In the tough economic times of 2011 Lukashenka had to accept arguments from proponents of the expansion of privatization. The sale of unprofitable loss-making enterprises allowed to them to put money into the state budget. Besides, the government had already got rid of its obligation to pay salaries to workers of such enterprises. Some hoped that the purchase of enterprises by efficient owners would allow the government to start collecting more taxes. Under the privatization program for 2011 – 2013, the government plans to sell 168 small and medium enterprises. However, so far only 38 companies have been sold for a total amount of BYR 170,000,000,000 (about $20,000,000). At a meeting of the Council of Ministers on 20 January 2012, many publicly agreed that the failure of the privatization plan for 2011 was caused primarily by the fact that directors of loss-making enterprises, fearing losing their jobs during the change of ownership, hindered the preparation of the enterprises for privatization in every possible way. Therefore, a decision was taken to expand the privatization plan for 2012 significantly by including those enterprises which were not sold in 2011 and those which were planned for sale in 2013. The government approved a package of measures which would not allow blocking of the privatization process. On 20 January 2012, the Council of Ministers and the National Bank adopted a joint resolution on a Strategy to Attract Direct Foreign Investment up to 2015. It is probably one of the most interesting documents of 2012 to understand the development of the situation in Belarus. This document can be regarded as an invitation to foreign business, which has advanced technologies and is willing to take part in privatization on the basis of transparent schemes. The strategy pays a lot of attention to public-private partnerships, economic liberalization, and overall improvement of the economic climate in Belarus. the implementation of the strategy will lead to an annual increase in the volume of direct foreign investment on a net basis (excluding debt to the direct investor for goods (works, services) in the amount of $7,000,000 – $7,500,000 before 2015 and to achieve at least 21 per cent share of foreign investments in the investments of fixed assets. The share of knowledge-intensive and high-technology products in the total volume of exports of goods will increase to 14 per cent. The implementation of the strategy will also ensure the entry of Belarus into the top thirty countries with the best business climate in the "Doing Business" rating of the World Bank, and also the improvement of positions in the reports of international rating agencies: Moody's Investors Service, Fitch Ratings, The Heritage Foundation and others. Lukashenka and the First Deputy Prime Minister Uladzimir Siamashka have said repeatedly that Russian oligarchs want to buy tidbits of Belarusian state property for a pittance; they do not want to take part in privatization on the basis of transparent schemes. As Lukashenka said: "They want to fish in troubled waters". Besides, officials have said repeatedly that Russia is not a source of advanced technologies. In Russia, they spend more electric energy and materials per unit of output than in Belarus. The strategy adoption should not be regarded in the context of Belarus-China relations either. Siamashka reiterated that China proposed polluting technologies. Moreover, the Lukashenka regime treats China as a separate domain of its foreign policy. As a rule, the documents on cooperation with China are not directed to other stakeholders. The strategy can be regarded as an invitation for Western businesses to make money in Belarus in cooperation with Belarusian top-ranking officials. Broadening of privatization and economic liberalization in Belarus are primarily explained by the interests of high-ranking officials. The top-ranking officials and Belarusian businessmen have accumulated considerable funds. Lukashenka is no longer making statements about the income of owners of luxury villas in posh Minsk suburbs. Those people would like to see their money working more efficiently in Belarus. They are afraid of dealing with the Russian large-scale business with its criminal components and prefer to invite law-abiding partners from the West. A representative of KAAS concern management (Germany) delivered the following statement at the Minsk Forum in November 2008: “German business goes to the places where it is possible to make profit. It is possible to run a successful business even in China.” Such remarks were actively hailed by the invited governmental officials. They nodded in approval and smiled. The Belarusian governmental officials believe that the aggravation of political relations with the West will not become a barrier for Western business. The top governmental officials hope that Western businesses can come to Belarus, if they are offered attractive conditions and personal guarantees (i.e., let’s make a profit together). Their thinking is that they would do business in Belarus just like they do it in Azerbaijan, Kazakhstan, Uzbekistan, and the increasingly authoritarian Russia. Only time will tell whether their strategy will work. Relations between Belarus and Poland have deteriorated in the recent decade, as Warsaw openly supported Belarusian opposition more than all of the other European nations put together. Earlier this month yet another war of words took place. Poland officially protested against a new Belarusian film The Old Talasz that is devoted to the 1920 Soviet-Polish War waged in Belarus. Last week the Polish Foreign Ministry accused the film producers of caricaturing Polish characters and "using the wrong history vision to drive a wedge in close relations between Polish and Belarusian societies". Rzeczpospolita, the second largest Polish daily, published a long article on Belarusian-Polish relations in the inter-war period and expressed its concern about unfair and inaccurate representation of Polish soldiers. However, many in Belarus remain unpersuaded by the myth of a free and prosperous life of Belarusians under a Polish administration in early 20th century. Good relations between Belarusians and Poles today do not mean that they need to forget their history or let their governments abuse it for their own purposes. Belarusians have lived with Poles in one confederate state the Commonwealth (Rzeczpospolita in Polish) for over 200 years – longer than under the Russian rule. But they have also suffered from forced Polonization in early 20th century. After the World War I, Poland conquered Western Belarus, while Moscow created a marionette Belarusian Soviet Republic in Eastern Belarus. The Old Talasz movie which caused the new wave of controversy between Poland and Belarus refers to those years. The film is based on a novel of a classic of Belarusian literature Jakub Kolas. The novel describes the war between the Communist Russia and Poland, which had just secured its independence from Russia. As an official Belarusian TV channel explained, "a part of the population fought for Bolsheviks, a part for the Poles and the rest simply for the independence of Belarus. Peasant Vasily Talasz picks up his weaponry and fights for the sake of his family". The film focuses on Polish atrocities in Belarus during that war. The movie depicts Polish soldiers in a grotesque form, similar to how the Nazis were portrayed in Soviet movies. They walk around in shiny boots, sing mazurka, kill women and children, burn villages and torture innocent Belarusian peasants to build on their corpses the imperial Poland "from sea to sea". Although the movie clearly tries to ridicule the Poles, the atrocities during the war were well documented and recognised not only by the Soviets but also by anti-communist Belarusian politicians such as Anton Luckievich, a former Prime Minister of the Belarusian National Republic. Neither Poland nor Soviet Russia should be proud of what they did in Belarus at that time. The biggest controversy deals with the interpretation of September 1939 events, namely the German-Soviet invasion of Poland and beginning of the World War II. For Poland, it was a loss of territory. For Belarus it was a unique chance for reunification albeit under Communist control and terror. To blame Belarusians for celebrating the 1939 unification of the land means forgetting the real situation in Belarus then. By 1939, Polish authorities closed all schools with Belarusian language as the language of instruction in the nearly 4 million strong region of Western Belarus. Only four dozens of schools retained some minor teaching of the Belarusian language. Warsaw also did not develop agrarian and backward regions populated by Belarusians which later became indoctrinated by Communist propaganda. The Polish state preferred to settle ethnic Polish colonists on Belarusian lands and failed to undertake the badly needed land reform. However, as the Rzechpospolita article correctly emphasizes, the Polish authoritarian regime of that time never persecuted its opponents as cruelly and systematically as the Soviets. Even Communist terrorists got their reasonably fair trial and mostly survived in Poland. The Polish government also did not touch private property rights unlike the Soviets in the east of Belarus. Soviet Belarus felt all the shocks of Stalin's terror since the late 1920s and many people were murdered, jailed and exiled. But the country underwent also successful – if forceful – economic and social modernization. Belarusian culture and education flourished – although in increasingly bloody framework of Bolshevik thinking and constantly losing thousands of artists, writers, poets and other intellectuals as a result of terror. Nevertheless, common people started to identify themselves as Belarusians, mostly under Soviet rule. These unpleasant facts give a fertile ground for controversial discussions on Polish-Belarusian relations. The Belarusian regime prefers to use the old Soviet propaganda cliche about "bloody White Poland" and the old Russian accusations of the "Polish intrigues". Belarusian state media regularly produces biased anti-Polish content. For instance, last week, Belarusian state TV broadcasted a series called "Polish Lessons" in which it accused Poland of financing the opposition and staging a coup-d'etat in Belarus. At the same time all state-run media regularly run reports about unemployment, the difficult life and economic crisis in Poland. Lukashenka's propaganda also made a point of publicly supporting Polish populist politician Andrzej Lepper, and hinted that the Polish government was guilty of his death. However, this propaganda has little impact because their twisted interpretations are too evident to most Belarusians. The Belarusian opposition is too fragile to risk a conflict with Poland which often gives them a last refuge. Because other Western nations have little interest in Belarus the opposition often has to follow the official Polish line. 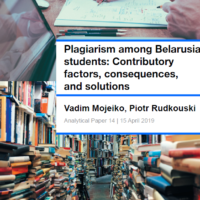 And that may lead to dangerous repercussions for the Polish image in Belarus as many presented positions contradict the well-known realities of western Belarus. Nevertheless, the contemporary Poland is more open than in the past and is developing a critical view of its history. Anti-Polish sentiments are not popular among Belarusians today. Active Polish help in the struggle against dictatorship has already left its mark on the modern Belarusian language. New words for leaflet (uliotka), sticker (nalepka) and police station (pastarunak) seem to be adopted from the Polish language. In these conditions broadcasting The Old Talash movie says of Belarusian hostility to Poland as much as Polish broadcasting of The Teutonic Knights would prove their anti-German mood.